Whether you grew up in the 60s or more recently whiled away sunny autumn afternoons watching Mk2s being driven on their doorhandles around Goodwood, the chances are at some point you've pondered the idea of owning one. 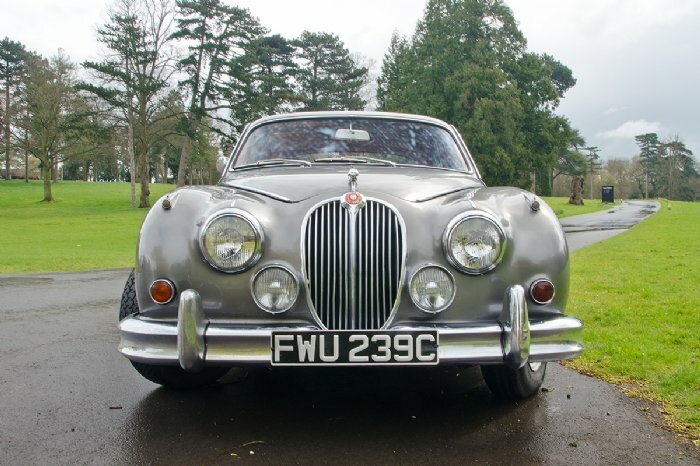 The Jaguar Mk2's popularity with classic car enthusiasts doesn't need much explaining - it's an achingly beautiful design (possibly the most 'Jaguar' Jaguar of all time) and in 3.4 or 3.8 trim was the Subaru Impreza of its day. 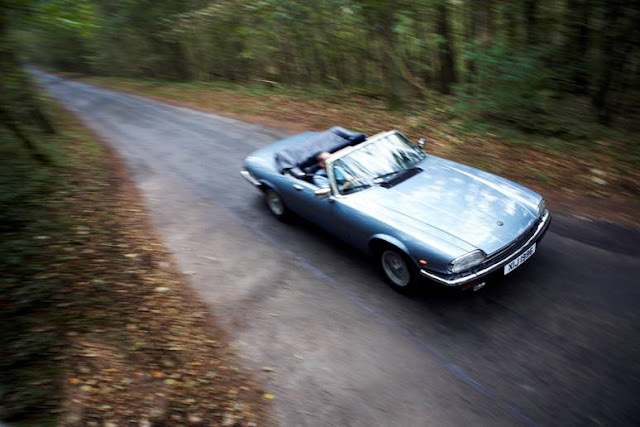 Jaguar claimed 220bhp and sub 10 seconds to 60, which were supercars figures in the car's heyday. All this in a practical, comfortable four seat design that is relatively easy to drive. Plentiful numbers and good spares back up make buying a Jaguar Mk2 a logical and almost practical proposition. 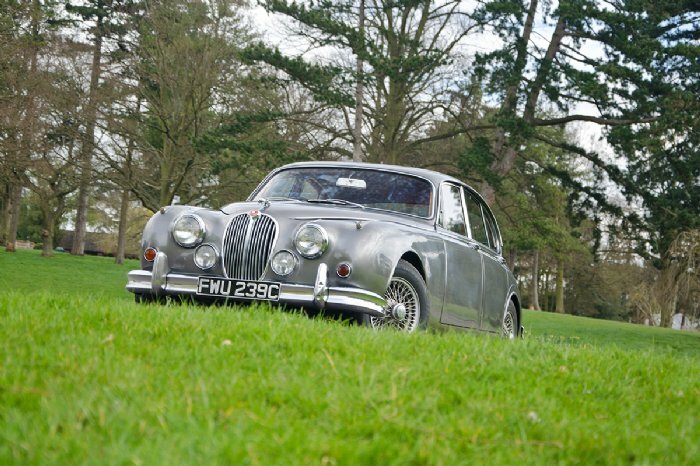 But before you start exploring the classified, here's some advice and tips on owning a Jaguar Mk2. 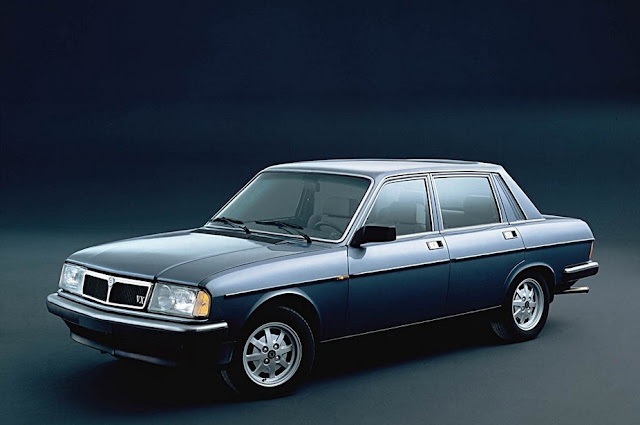 The Mk2, as the name implies, was not the first car to wear this bodyshell. The car was launched in 1959 to replace the 'Mk1' which had smaller windows, a narrower rear track and more dated interior. 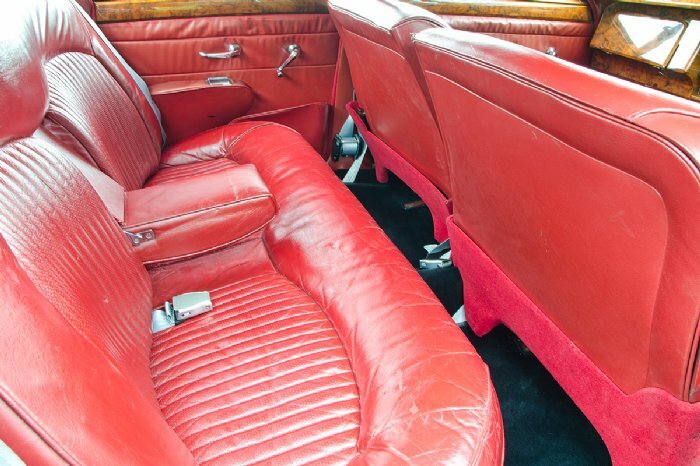 these minor changes arguably transformed a fairly staid, dated car into a timeless classic. It was available with 2.4, 3.4 and 3.8 versions of the venerable Jaguar XK straight six engine, a motor that dated back to the 1940s and remained in production into the 1980s. Jaguar progressively improved the Mk2, introducing a fully synchromesh gearbox in 1965 - to replace the original 'Moss' box - and in 1967 replaced it with the largely identical 240 and 340 models. These cars have slimmer bumpers and lower trim levels than the Mk2. At the same time as these models were introduced Jaguar began a slightly demented product launch programme, creating various models based on the central architecture of the Mk2. The best known is the S-Type, which is essentially a Mk2 with a different front and rear end design and independent rear suspension. The Mk2 did not escape the British car industry's 60s obsession with badge engineer. A Daimler version of the car, called the 250 V8, was offered alongside the Jaguar model, combining a Daimler grille with higher specification, automatic transmission and the superlative Daimler Turner V8 engine. The Mk2, perhaps uniquely, combines family-friendly practicality with sports car attributes and the perma-chromed loveliness that many expect from their classic cars. This really is a classic car that you can enjoy with your friends and family. It's also modern-world compliant - fairly simple and reliable and with plenty of power. If an E Type feels too flash, get its sober-suited but equally rewarding big brother. If you want a Jaguar Mk2 then it has to be a 2.4, 3.4 or 3.8. Although the Daimler V8 and the later s-Type are arguably much better cars in various respects, they aren't Mk2s and consequently are generally much cheaper to buy. The 2.4 has a loyal following and is the best value, but if you plan to use your Mk2 (and we recommend you do) then most owners bemoan the lack of power. With just 120 bhp it is under powered in this heavy car. Conventional wisdom and most investment money goes into the 3.8 'MOD' (Manual Overdrive) with synchromesh gearbox and, ideally, power steering. 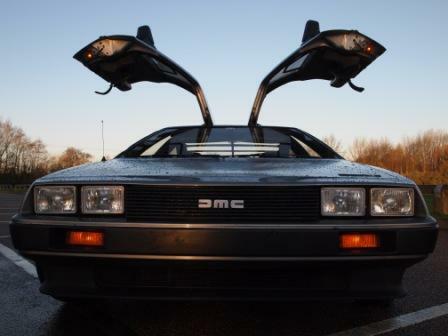 Expect to pay £10,000 for a roadworthy car needing some work and £20,000 for the best. Afficionados go for the 3.4, which coincidentally is the car most villains opted for when these cars were new. The smaller engine is sweeter and more free-revving than the 3.8 and nearly as quick in real-world driving. It's generally 10-20% cheaper than the 3.8 and can also be specified with the 'MOD' and power steering. We run both of these cars on the Great Escape Cars classic hire fleet and would concur with the afficionados - the 3.4 is a better car. We would probably opt for the synchromesh box over the earlier Moss box - the latter is stronger but the shifts take more practice and are more ponderous. Power steering is also a useful addition, although later modifications tend to rob the car of steering feel. Any 3.4 or 3.8 Mk2 will easily keep up with modern traffic and cruise comfortably and quietly at 70 on motorways - quite an achievement for a car approaching 60 years old. The driving position is quite upright, with limited movement options but will accommodate most drivers. The steering and controls are precise and fall easily to hand and the push starter is a period joy. Perhaps the only downside is a heavy clutch, typical of cars of this era. On the move the Mk2 is very 'Jaguar' - a remarkable mix of smooth, well damped ride with precise handling and excellent driver engagement. It really does feel like a four door sports car, albeit one thankfully lacking the high energy nervousness of an actual sports car. Only the narrow rear track and simple rear suspension detract, preventing modern drivers exploiting the car's power for fear of diving into the nearest hedge backwards. Thankfully Mk2s were fitted with disc brakes all round, as the little warning badge on the rear bumper warns following motorists. It's no surprise that the Mk2 was a sales success. The interior is possibly one of the greatest produced by a British car maker ever, combining thick, comfy leather seats with acres of walnut - this is a gentleman's club on wheels. Space is good and there is also a decent boot. The 3.4 and 3.8 will easily achieve 25mpg around town and touch 30mpg on a steady run. But there is a downside. 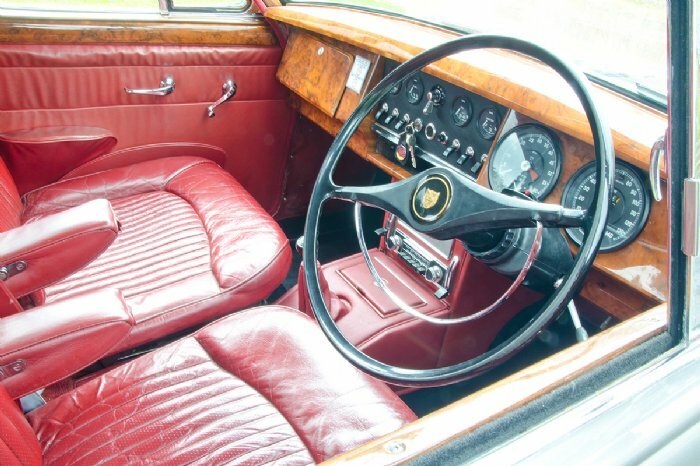 Jaguar built the Mk2 down to a price, and this does show in the durability of the interior - window catches, door handles, wooden trim and switches are all fragile. Fortunately they're also easily to replace - albeit at a price. The straight six XK engine is extremely robust, but requires regular oil and coolant changes. Similarly, the Moss box is very durable but the later synchromesh box is much less strong, being prone to wearing synchromesh and damaging the selector forks. The heavy clutch can also be prone to wear as it's easy to inadvertently ride it - replacement is an engine out job. The biggest bugbear with the Mk2 is rot - this is a complex car that was never built to last. Wing tops, cills and doors all rot out and repair or restoration is a complex job because these cars were built with a lot of hand finishing. Which means replacement panels do not immediately line up or fit. Car that are visibly solid may be invisibly otherwise. On the test drive check the clutch and, if fitted with the later gearbox, test the synchromesh. 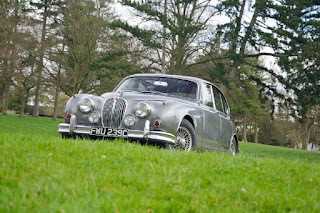 The Great Escape Cars workshop www.wefixclassiccars.co.uk has restored several Jaguar Mk2s. This film shows progress on a 3.4, which suffered from most of the problems typical of a solid, roadworthy car in need of some TLC.